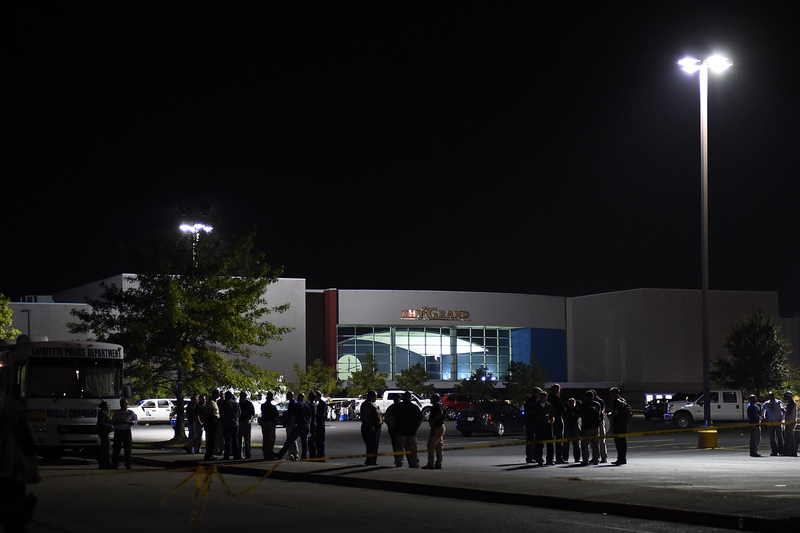 A gunman opened fire at a movie theater in Lafayette, La., on Thursday night, injuring nine people and killing two others before turning the gun on himself. Little information has been released regarding the conditions of the nine injured, although authorities say that one person is reportedly in critical condition and undergoing surgery. The names of the victims have been released, however. In addition to the alleged shooter, John Russell Houser, Mayci Breaux of Franklin, and local Lafayette resident Jillian Johnson died; Breaux passed away at the scene, and Johnson shortly afterwards. Johnson was a prominent figure in Lafayette, beloved by the community and the co-owner of the local boutique Red Arrow Workshop. So, who was Jillian Johnson, one of the Lafayette shooting victims? The 33-year-old was born and raised in Lafayette, according to her Facebook profile. A prolific artist, she graduated from the University of Louisiana, Lafayette in 2004, earning a BFA in Ceramics. While in college, she established the creative design company WORKagencies with her brother, Bram. Her artistry extended far beyond fine arts and into music, where she was a singer and ukulele player for the all-female alt rock outfit the Figs, having joined the band in 2006. Already, messages of condolences are being left on the band's Facebook page. Most recently, Johnson had devoted herself to Parish Ink as well as Red Arrow Workshop. Her Parish Ink clothing line started in 2010 and is a collaborative effort between her brother and fellow WORKagencies designer Bram, and Downtown T-Shirt's Tom Brown, who oversaw the screen-printing of Johnson and Bram's artwork. Their designs include custom Lafayette and Acadiana-inspired apparel items as well as stickers and more. Parish Ink has three brick and mortar stores — two in Lafayette and one in New Orleans. Likewise, Red Arrow Workshop has three physical locations as well. The boutique also sold designs from Bram and Johnson in addition to decor wraps, wallets, and print items such as custom cards and posters. Johnson operated Red Arrow Workshop with her husband, Jason Brown, whom she'd been married to for just two years. Johnson was deeply enamored with the Lafayette area and improving it in any way she could and served as co-director of the local nonprofit TownFolk. The diverse nonprofit TownFolk focused on "nurturing the vision of a safe, vibrant and diverse urban community," according to its website. Previous community outreach projects included beautifying J Wallace James Park as well as working to establish a community garden and provide maintenance and beautification of cemetery land located at Bienville and Olivier in Lafayette. Funeral information for Johnson is pending, and the shooting itself is still under investigation. Authorities are unsure what Houser's motives were and are continuing to look into his ties to the area. The alleged gunman was from Alabama but had been in staying at the Motel 6 in Lafayette since the start of July.